This design started a few years ago as a compliment to the Black Check, using the same painted on method. We love the way this blue gives movement to the pattern between the exposed clay. 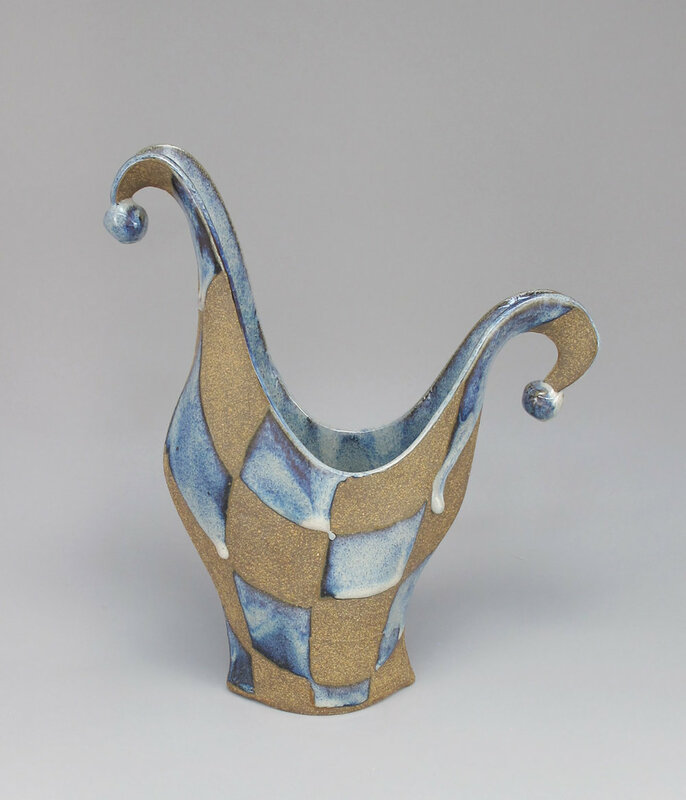 Given the type of firing, this glaze does vary from a darker blueish-purple to a lighter blueish-white. The pictures shown on this website are the standard color we send you. In our view, we think variation is what makes handmade beautiful.